Can Constipation Can Cause Heart Attacks? Constipation affects about 42 million people in the U.S. African Americans, and women, are more likely to suffer from constipation that whites. In general, constipation does not constitute a serious health problem, but can it cause a heart attack? Constipation in itself does not lead to heart attack. Straining caused by constipation can be a risk for people who have had serious coronary heart disease or heart attack. Constipation can create an inflammatory process that could accelerate the development of cardiovascular disease. The inflammation is related to bacteria from the gut caused by constipation. People with severe constipation can have a significantly higher risk of heart attack if they possess other risk factors. 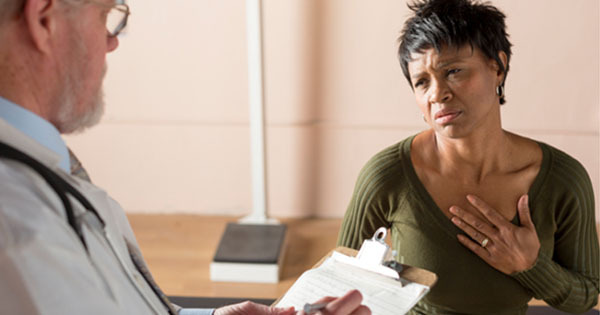 According to a study from the National Heart, Lung, and Blood Institute in Bethesda, Maryland, the risk factors that could link constipation to heart attack include increased age, Hispanic and African American descent, diabetes, high cholesterol, family history of heart attacks, high blood pressure, obesity, smoking, depression, low physical activity levels, and low fiber intake. If you have any of these risk factors and also suffer from severe constipation, see your doctor about ways to treat and prevent constipation. Some of the most common remedies can include eating plenty of high fiber foods, exercising regularly, drinking lots of water, avoiding milk and coffee, and no smoking. Doctors can also recommend medications and other remedies.